2019 Spring Registrations are Live!!!! 2019 Spring Inhouse registrations are now open. Come and join us this season and participate in a special year end celebration with the St. Paul Saints! Registrations close 4/1/19, so register now! The In-House program serves girls age approximately 5-6 (K-1st grade) with a summer season running from late April through June. It is a coach pitch league and teams generally play two games per week. The In-house program is focused on both fun and skill development. Girls play at their current grade level as of the start of the season. Teams are formed, when possible, by placing girls with other players from their school or neighborhood. Note: as of 2018 we no longer offer a 2nd-3rd grade inhouse league. Registrations throughout the metro area have been transitioning into 8U, which is traveling in name. However, games are mostly local with the same commitments as inhouse but with more varied opponents. Games for K/1st Grade level are scheduled to be on Monday/Wednesdays. The season end 2019 In-House Softball Celebration will again feature the St. Paul Saints as we have again been selected for their Spotlight Series. What is the style of play? The EVAA In-House program stresses skills that the girls will need to be successful in fastpitch softball. Where is 2/3rd grade Inhouse? As of 2018 we no longer offer this opportunity. Registration numbers for that program have been in decline within our organization and across the metro area. We do offer 8U which is similar, but the added bonus is the ability to play other associations like Eagan, Rosemount, Farmington etc. No, there are no tryouts for In-House softball - all that is required is a desire to play and have fun! We try to create teams based upon parent requests and the schools the girls attend. In addition, we try to make sure that each team has the same number of younger and older players. We try to limit the number of girls on a team to 12 so they all can stay involved. At the kindergarten and 1st grade level we may put as few as 7 on a team to keep them active. The Inhouse season runs from early May until late June. Typically the first two weeks of the season are just practices and after that the season begins. We try and have everything wrapped up by the 4th of July every year. Schedules usually have two games each week. The field assignments will be made by the City of Apple Valley in April. The K/1 teams play all of their games in Apple Valley at the fields of Scott Highlands. Does EVAA provide a uniform? A t-shirt is provided for each girl in the program. These items usually arrive by the first game in mid-May. Each year EVAA coordinates with a company to come and take team pictures. Details of the time and place will be distributed by the coach when they become available. Purchasing pictures is optional but all are encouraged to attend for the team photo. Are there any participation awards? In the past, each girl that plays in the In-House program has received a small trophy at the end of the year. What equipment does EVAA provide? EVAA provides basic equipment for the team: bats, balls, catcher’s gear, etc. What equipment will have to be purchased? Each player will need to provide their own glove and batting helmet. The batting helmet needs to have a chin strap but does not need a face mask. Players can wear rubber cleats. 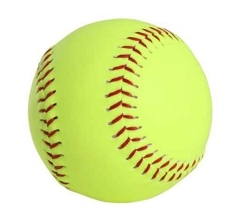 The Registration "EVAA In-House Fastpitch Softball" is not currently available.